I’m Ed Smith, a Sacramento Personal Injury Lawyer. While numerous injuries can result from traumatic events, it is unusual for patients to suffer a femur fracture in both the neck and shaft on the same leg. These injuries are even more uncommon in children. However, this is precisely what happened in two case reports that have been published in the literature. These injuries present some treatment challenges. When a patient suffers a femur fracture, it is important to make a note of what part of the femur has been fractured. The head of the femur connects to the hip socket and is vital for stabilizing the joint. The neck of the femur is the part of the bone that links the head to the long, descending part of the femur. This long portion is called the shaft and connects to the knee. Depending on the location of the femur fracture, the treatment protocol and prognosis might change. That is what makes the following two case reports so interesting. In the first case, an 8-year-old girl was involved in an auto accident and suffered numerous traumatic injuries that required immediate medical attention. She had suffered a fracture to both the neck of her femur and the shaft of her femur, a rare bone fracture combination. She was taken to the operating room where the fracture was fixed with several screws and a plate. She was unable to bear any weight until three months later, but by the fourth month, she was bearing full weight. In the long-term, she made a full recovery and had regular, painless movement in her right hip. While slip and fall injuries can cause severe damage, a fall from a height of nine feet can have grave impacts. This is what happened to an eight-year-old child who tumbled nine feet. He had fractured both the femoral neck and shaft, like the prior case. The fracture was reduced in a closed manner and fixed with two screws. The child was kept in traction for five weeks and started bearing weight after three months. Follow-up on radiology showed minimal evidence of complications. However, the femoral neck appeared slender, and the head of the femur was slightly enlarged. The purpose of this study was to highlight the lack of standardized treatment in children who break both their femoral neck and femoral shaft, largely due to the rarity of the injury. The study recommends a visit to the operating room to stabilize the fracture to reduce the risk of complications and comorbidities. Unfortunately, these injuries do have a high rate of complications, such as leg shortening and avascular necrosis. Watch YouTube Video: Femur Fracture & Types of Femur Bone Fracture. This short animated video explains the different types of femur bone fractures. I’m Ed Smith, a Sacramento Personal Injury Lawyer. 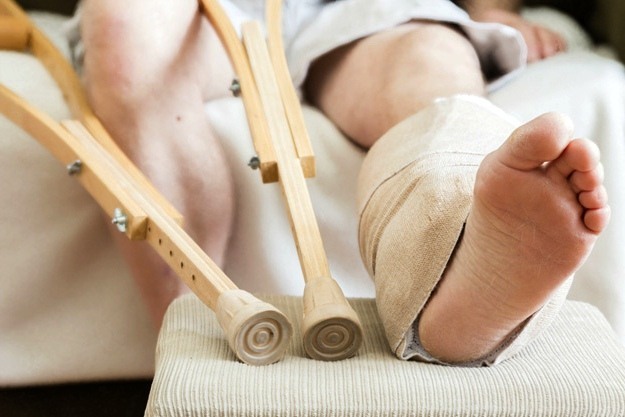 Suffering from multiple bone fractures can cause severe complications. If you or a family member has been injured in an accident, call me for free, friendly advice at 916.921.6400 or (800) 404-5400. I am proud to be a member of the Million Dollar Advocates Forum for the California region. The members of this group have been named among some of the top trial lawyers in the country. Our attorneys have all either reached settlements or won verdicts that have been valued at over one million dollars. Please take a few minutes to read through the list of our past verdicts and settlements here. Some of our client ratings and reviews are up on Avvo, Yelp, and Google.